We are offering the Study Table to our customer as per their requirement. 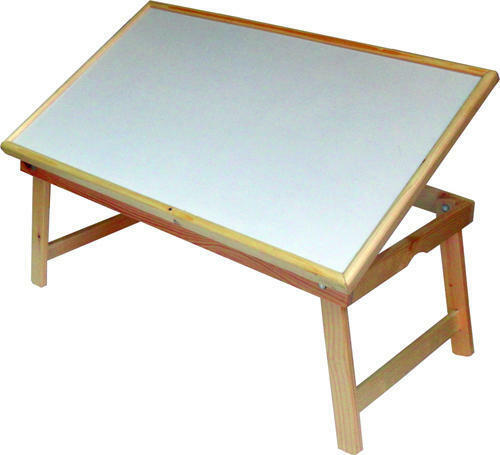 “Alton Marketing,” is a leading and well recognized name as manufacturer and supplier of Display & Communication Aids like Writing Boards, Notice Boards, Display Boards, Name Boards and Display Stands. An ISO 9001:2008 certified company, the product range it is presently offering include ceramic boards, magnetic & non magnetic boards, graph board, writing boards, single/double sided boards, display boards & stands, acrylic name holders, bulletin boards, felt pin up notice board and others. Established at Mumbai, Maharashtra, India, the expertise of the company lies in developing boards and other associated products using cold pressed chemical process that provides in them superior durability and tough finish for daily use. Further, the wide variety of communication aids offered also support the demands of educating and communication and can be provided in varied designs. Finding use in various institutes and organizations, these display & communication aids come in quality finish and are backed by extensive product research so as to provide for enhanced usage experience. Some of the key customers we are presently serving include Zee Learn Limited, Mumbai, Maharashtra; Staples Future Office Products Private Limited, Mumbai, Maharashtra; Godrej and Boyce Manufacturing Company Limited, Mumbai, Maharashtra.